Yutong Blower has achieved quite a few honors in blower industry, including various certificates appraised and awarded by governmental authorities, awards from media and market research agencies. W6-29, 6-39 High-temperature Blower introduced the proprietary technology of high-temperature blowers from the British Company Howden. They are designed for continuous operation under harsh working conditions and transporting high-temperature dusty gases. W6-29, 6-39 High-temperature Blower introduced the proprietary technology of high-temperature blowers from the British Company Howden. They are designed for continuous operation under harsh working conditions and transporting high-temperature dusty gases. 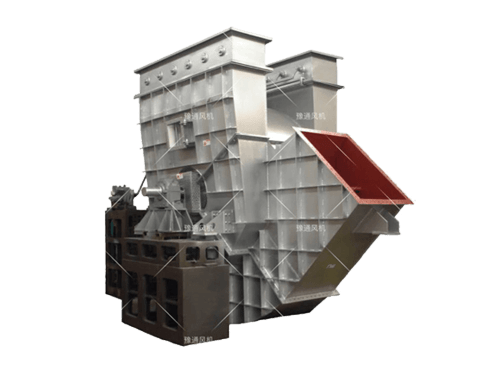 With advanced design, skillful manufacture, reasonable structure, stable performance and reliable operation, this series of fans are mainly used in the cement production line with 4000-50000 tons/year and also applicable in other similar applications. W6-29, 6-39 High-temperature Blower mainly uses F driving mode. It has both clockwise and counterclockwise rotating ways and single suction and double suction structures. The fan is mainly composed of impeller, casing and inlet chamber, main shaft, bearing box, differential motion guide vane adjusting device, shaft end sealing, radiator wheel and lubricating system. Slow-rotating device, inlet and outlet expansion joints, fluid couplings, vibration detectors, over-temperature alarm and main motors can also be equipped according to different requirements. System base frame, Protective screening, Silencer, Inlet& outlet pipeline compensator, Inlet& outlet flange, Air damper, Electric actuator, Shock isolator, Diaphragm coupling, Fluid coupling, Motor rain cover, Temperature sensor, Vibrating sensor, Soft starter, Variable-frequency drive, Special motor, System monitoring &control instrument, Lubrication system and High-level oil tank. They are applicable to normal temperature and hot gas, clean and dusty gas, powder materials and tiny granules. 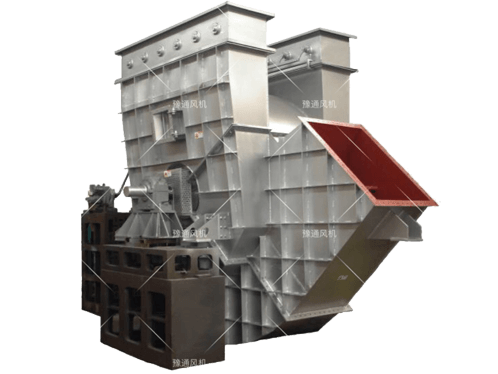 They can apply into boilers, dust removal, de-nitration and desulfurization, cement, metallurgy, power generation, gas and material handling, smoke exhausting. It can also be customized according to special industries. Please feel free to inquire us in the form below.